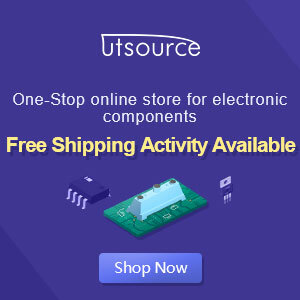 On this occasion, I will share electronic circuit schematics on how to create the Led lights in conjunction with the music, or lights flashing on the music. 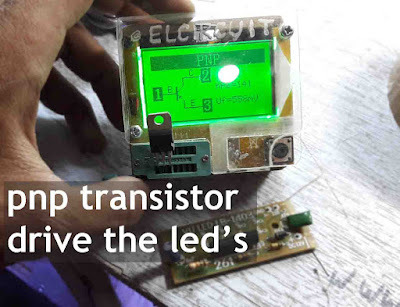 This circuit is quite simple, the circuit has also been widely spread on the internet. However, at this time I will use a lot of lights to turn the lights on music together. 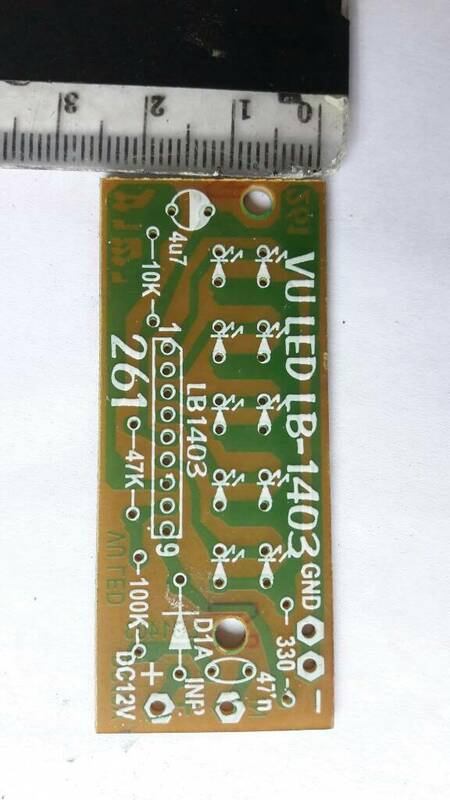 By using audio signal amplifier circuit which will be forwarded to led using IC LB1403. However, I added a PNP transistor again to amplify the voltage going into the LED. So the Led used can be much lighter and more stable. 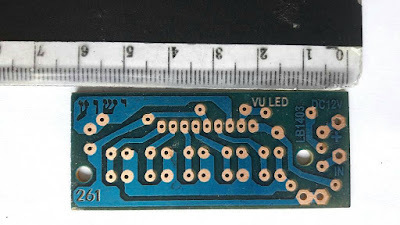 On the PCB above that is so then slightly modified for the placement of the led lamp driver transistor, so I added a hole and removed the 330 Ohm part to directly connect it. 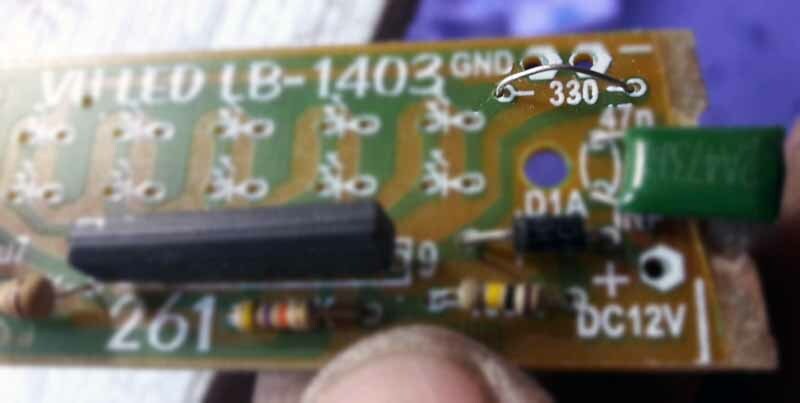 I removed 330Ohm Resistor, and jumper it. Because of the + Voltage for supply the emitter PNP Transistor TIP42. 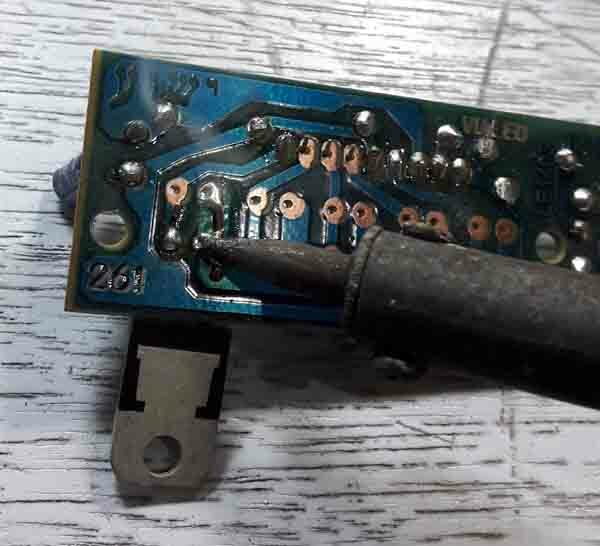 So that required 12V Voltage. Above is a PNP transistor, the transistor I use is TIP42C type with the foot construction as above. Then after the incoming voltage to the transistor emitter is already full, I added a hole for the emitter leg so that the base and emitter can go directly to the PCB. 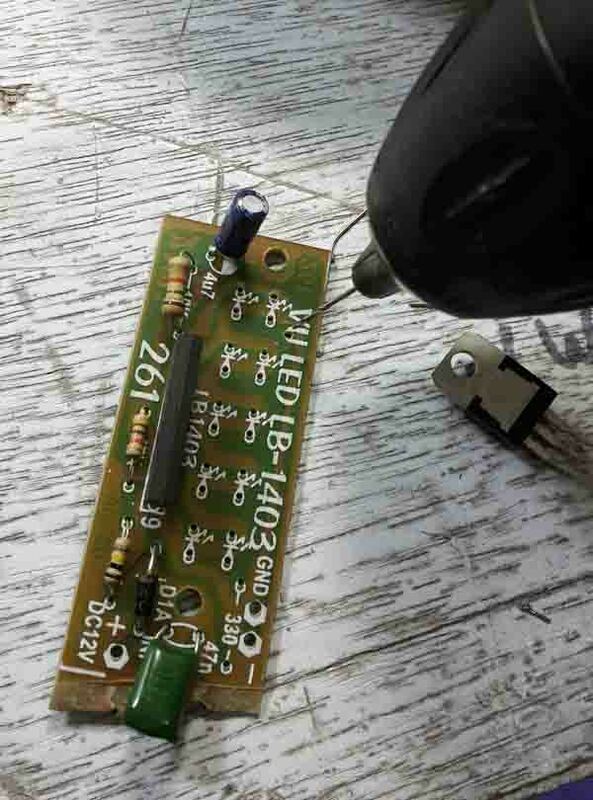 My transistor is soldered. 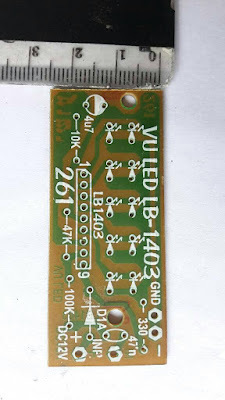 into the PCB by bending the foot to be affected by the opening visible copper, so it can be soldered. who writes this total crap?